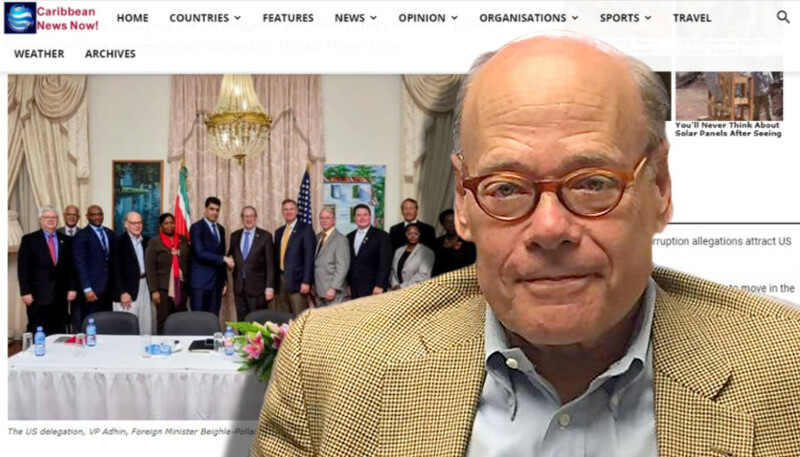 Now we know why U.S. Rep. Steve Cohen, (D-TN-9) traveled to South America at taxpayer expense. As reported, Cohen and eight other congressmen undertook a super-secret mission to meet with Guyanese leaders last week. But many locals reportedly resented the visit. There were just too many white Republican men, according to published reports. Cohen, of course, is a Democrat. The only other Democrat was Rep. Scott Peters (D-Calif.-52). The remainder of the group were all GOP. “During the meeting, discussion centered on Guyana’s political stability, security, border issues with Suriname and Venezuela; Guyana’s emerging oil and gas sector and environmental issues,” the website reported. Geologists estimate 13.6 billion barrels of oil and 32 trillion cubic feet of natural gas exist in the Guyana-Suriname Basin, the website reported. According to the BBC, Venezuela’s economy is in freefall due to hyperinflation, power cuts, and food and medicine shortages. A recent New York Post article blames socialism. As The Tennessee Star reported last week, members of the congressional delegation talked about Venezuela’s current refugee crisis and how it will impact the Caribbean. The Guyana-based Stabroek News reports Venezuelans desperate to get away are crossing over into nearby countries. That website also reported the local media’s anger over the racial makeup of the congressional delegation. Other Latin American news agencies made the same complaint. “The nine members of Congress identified as part of the twenty-five-member delegation are all white, all male and overwhelmingly (seven to two) Republican,” according to one letter the Stabroek News published. • Darrell Issa of California’s 49th District. None of the lawmakers disclosed the trip on their websites or social media accounts last week. Cohen, in an emailed newsletter to his constituents, sent out this past weekend, briefly mentioned a visit to the Soto Cano Air Base in Honduras — but nothing about Guyana. I have a better solution. No future effort to assist their struggling government.